Leveraging on our enriched industry experience, we are engaged in offering a huge gamut of CISS And Pigment Ink. 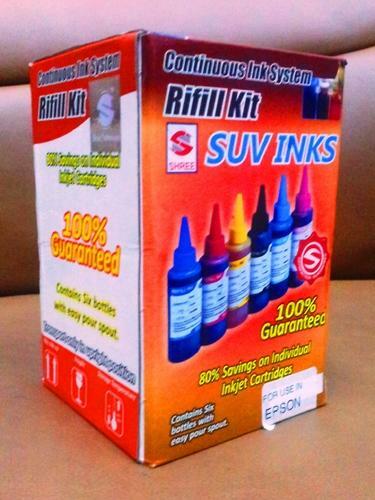 This high grade ink is available in myriad of colors are easily refilled in a printer. Suv Ink for Epson / Brother CISS offered comes in tamper proof packaging support and finds application for use in Epson/Brother printers. Providing for smooth printing support as well as even ink spread for more economical usage, its quality constitution makes these inks highly demanded by the customers. Here, we are offering continuous ink system solutions and SUV inks for Epson/Brother CISS and UV ink for Epson/Brother CISS printer. Epson Pigment Ink offered provide for exceptional performance support and finds use in Epson cartridges. Further, these Epson pigment inks feature superior constitution support and provide for perfect support in all Epson printers. The superior formulation support of these inks as well as their quality tested working performance also assures customers of achieving sharp crisp printing results. 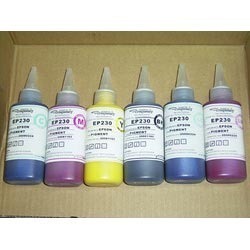 We offer these inks at competitive market prices. Looking for “CISS And Pigment Ink”?